I often get requests from readers and followers asking for brow-shaping tips and about products I use. When you look below, you can see why. I do pluck stray hairs but I do NOT trim the length of my brow hairs and I try to pluck as little as I can because they are naturally very sparse. I need to shape them and fill them in - BUT I don't want overly filled-in, defined "Sharpie" brows with razor-sharp edges carved out with concealer. Neither do I want the unkempt caterpillars-on-my-face brows we see on runways. I just want something in-between. I want the natural texture of runway brows, with the polished, groomed shape of defined brows. So I have a pretty specific routine to achieve that. And at this point I have to point out that this is just my personal preference. There's no right or wrong, and if you love hairy brows or super-defined brows go right ahead. I guess I'm just past the age where I want my brows to make a louder statement than the rest of my face. I want something subtle and classic that I can look back on 40 years later and not wonder what I was thinking. Before we start, a few notes on shaping first. 1. I'm not a fan of over-plucking, by virtue of the fact that I don't have that much to pluck anyway. I never pluck along the inner half of my brows. Only stray hairs that stick out on the outer 1/3 of my brow-bone. I also never pluck ABOVE my brows. 2. Same for the inner corners, I only pluck anything that is ner the center of my face, or noticeably far away from my main brow. As for where your brow should start on the inside, I've stopped recommending that people use that "pencil against the nostril and inner corners of the eye" method. Everyone's nose is a different width. If you have a very narrow nose and wide-set eyes, you end up with brows that are way too far apart. If you have flared nostrils and close-set eyes, that line is pretty much telling you you should have a uni-brow. 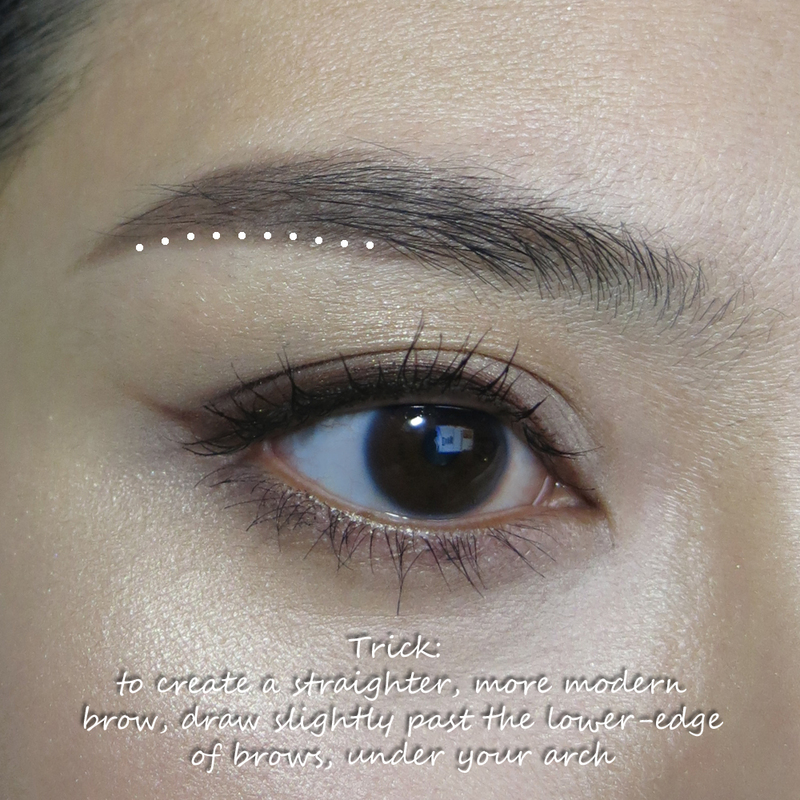 In general, I would try to have my brows start maximum a thin pencil width inwards from the inner corners of the eyes, OR (for those with close-set eyes), in line with the inner corners of your eyes. End of the day, don't alter nature too much. It will look weird. If you ask most fashionistas, they will probably tell you the "It" brow of today is slightly boyish. Meaning - full and slightly straightened. There's usually a smooth gradual taper, mostly thick all the way from the insides to about 2/3 of the way, then after that tapering gently to a point at the ends. One good reason to go with a softer, more casual-looking brow is the fact that it's incredibly aging and severe to have that fierce arched retro brow. It doesn't suit everyone. A lightly-pigmented pencil is my top recommendation for something that looks natural. 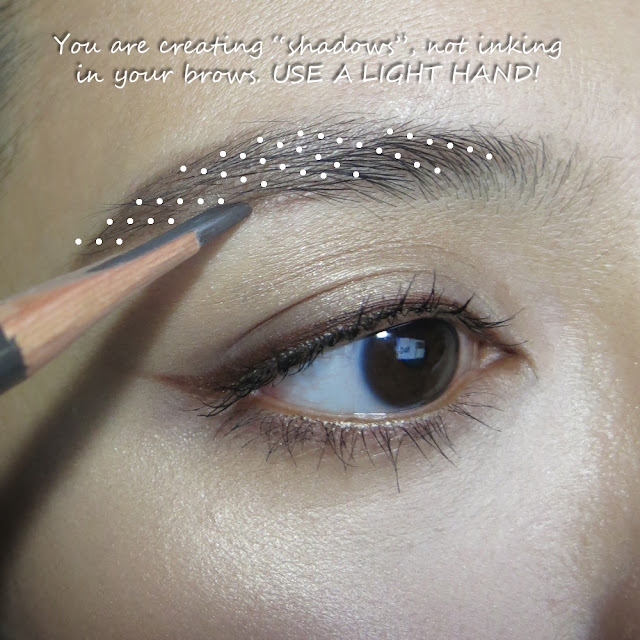 I mentioned it before, but your pencil's main task should be to create the illusion of "shadows" on your skin. Not to paint in your entire brow like a cartoon. You can use pomades and liquid inks, but they usually don't give you that level of control and the option to slowly build up intensity. Probably the best tip I can give you when using pencil/powder, etc is - even out the gaps and lighter spots first. You might realize you don't even need to apply brow pencil along your entire brow. Some people just need to cover up some sparse areas. But you won't know if you keep filling everything in like a coloring book. If your goal is for your brows to look natural, ALWAYS choose a grow-toned pencil. Resist the urge to match your pencil to your hair color exactly. Your pencil creates a shadow on your skin, which a fuller brow has. It's not meant to match your hair color. 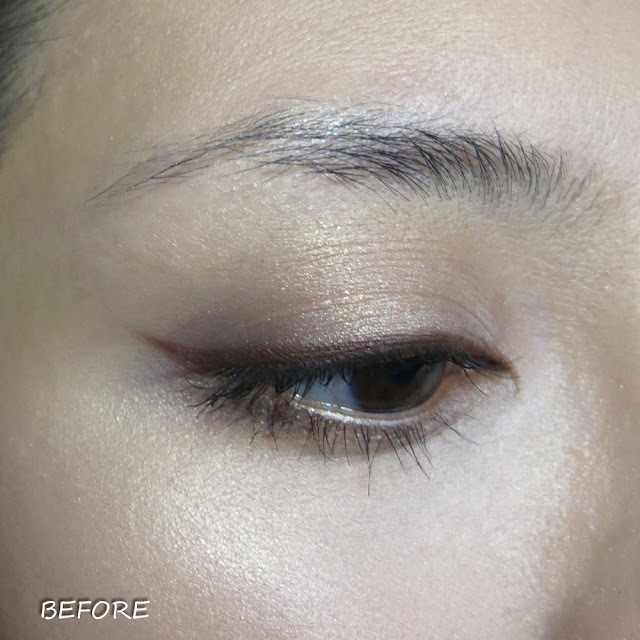 Leave the color-matching to your brow mascara. If you DO want to use a colored pencil that matches your hair, just remember that it's more for drama, not for looking natural. And use light strokes. Most times, pencils are not strong enough to actually draw in defined little strands. The little hair-like strokes are just to prevent you from being too heavy handed and going fiercely back and forth like a kid with a crayon. 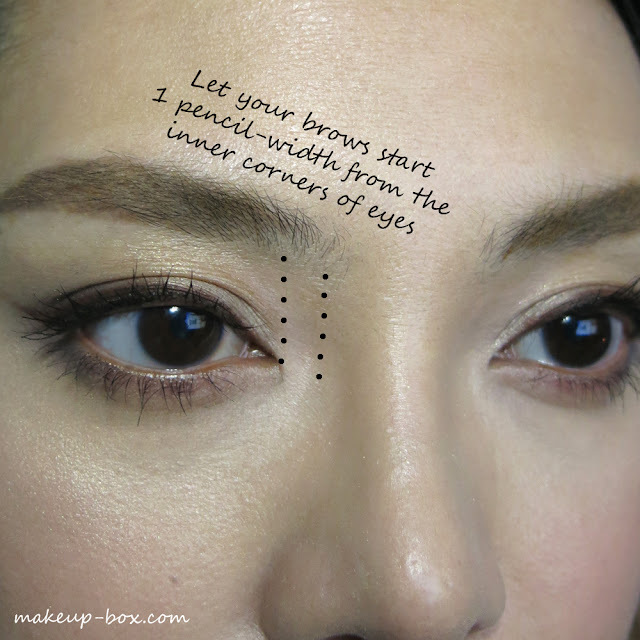 Whatever you do, try - TRY - to resist drawing an outline around your brow and coloring it in. 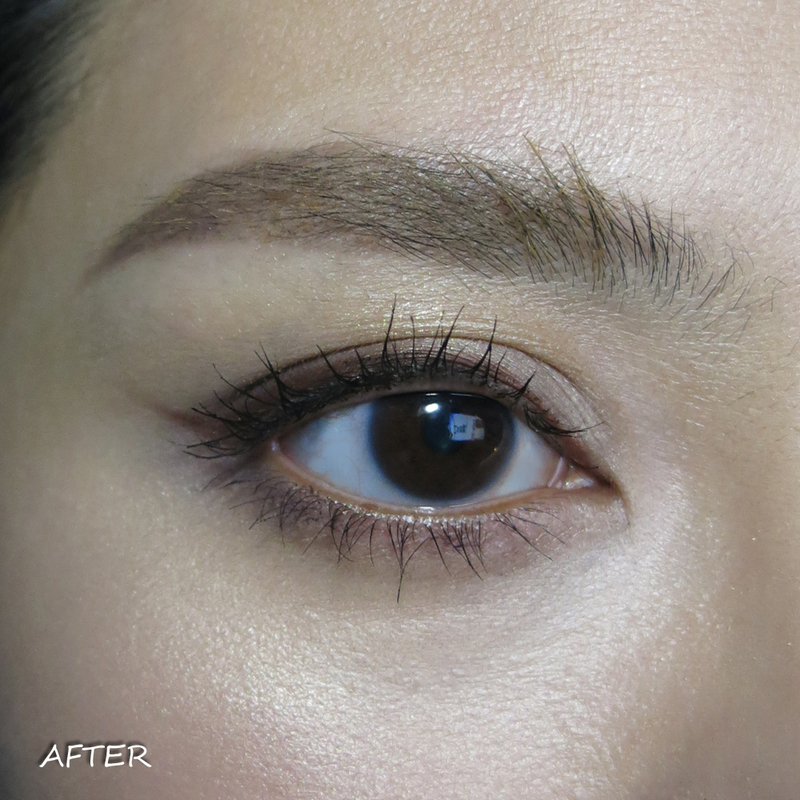 It's a huge trend in Asia to have full bushy brows, thanks to Korean pop-stars and actresses. But SO many girls think swiping on tons of brow powder is going to make them look like a K-star, and that is so far from the truth. 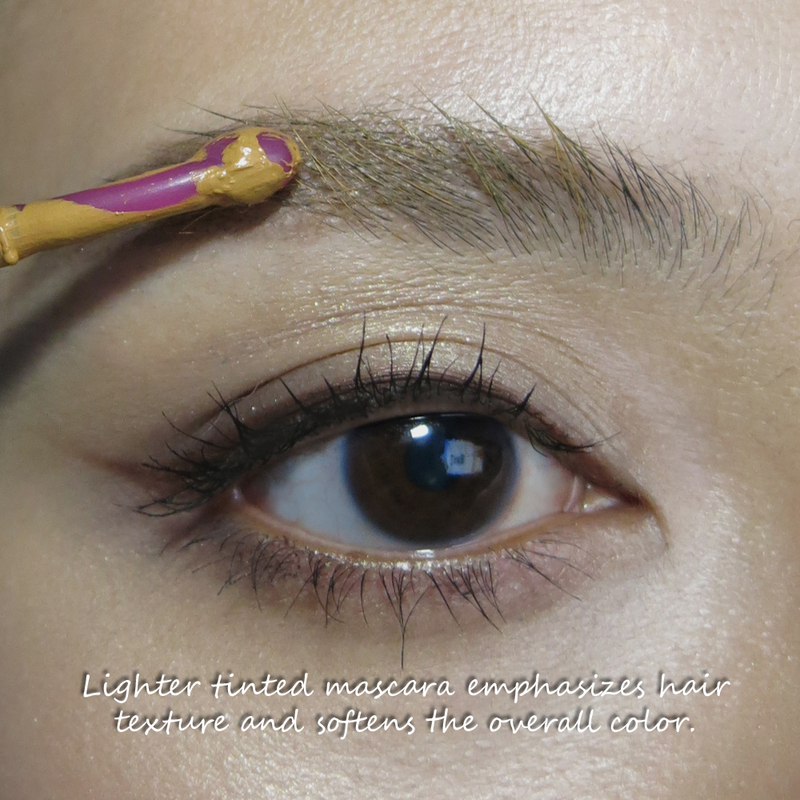 Using too much powder hides hair texture and creates an opaque fuzzy brow. Like you have two strips of black/brown fuzzy felt stuck on your face. To make things worse, many girls wear a bare face with heavy powdered brows. If you don't have very strong features (we are not all Cara Delevingne), all people will see from a distance are those chunky fuzzy brows. To subtly beef up your brows and create that very trendy slightly straightened shape that actually suits your face (without going overboard and literally drawing in a straight brow), simply extend your pencil or powder a tiny bit down past the lower edge of your natural brow, right at the hollow of the arch. This creates a "shadow" and a more straight brow without changing your brow shape. After you fill your brows in, especially if you had to fill in quite large areas, it is inevitable that you lose some of the appearance of hair texture. Your brow can look like a solid block of pigment. So the next step is to add the texture back in by highlighting every single strand you have. I always recommend using a slightly lighter and softer shade of brow mascara than your natural hair. Just because the lighter color softens the heavy look created when you filled it in. This is the way you look like you have full brows, naturally. Just try to use a light hand and get most of the mascara onto your brow hairs, NOT your skin. In terms of formula, I have heard that Illamasqua has a pretty strong brow gel, but I personally have not tried that, and my preference tends to be Japanese drugstore brow mascaras because they seem to be able to hold hair in place more longer than a lot of the western brands I've tried. The one I am using right now is K-Palette's Real Lasting Eyebrow Mascara, which is a yellow-blonde and comes with an awkward applicator that usually gets WAY too much product onto my brows. Doesn't match my black hair but don't worry. I'll take care of that in the next step. To clean up excess product, redistribute it evenly along the hair strands, AND groom the hairs so they go in a direction you want, have a disposable spoolie or a baby toothbrush handy. Just do a few strokes to get your hairs in place and leave it be. If you do happen to overbrush and remove most of the mascara, you can simply apply one more coat and brush a little again. 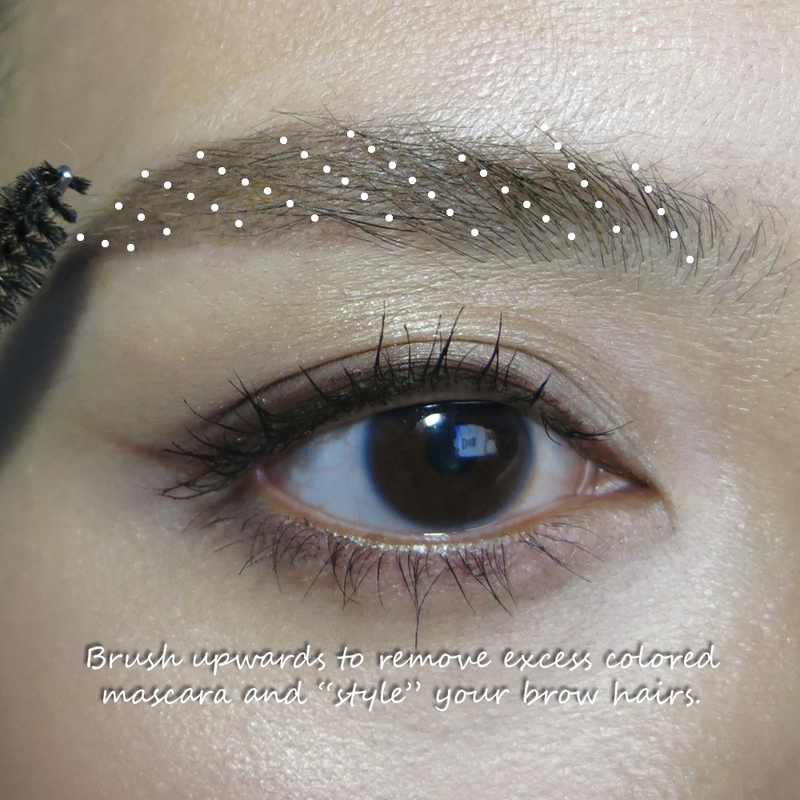 Now I do NOT like this type of brow brush below. The bristles are packed too close to grip and style your hairs without removing all the mascara, and they are terrible at combing cos all they do is press your brow hairs down against your skin. These work better with brow WAXES. Not with brow mascaras. And voila! Those are my basic steps and literally what I do every day. Sometimes the products change, but the steps largely remain the same. And it really isn't all that time-consuming. I pick the products I use based on ease of use, actually. I don't have to spend a lot of time trying to correct, soften and even out my brows because I used a brow pencil that is too dark or too soft. And mascara is pretty easy to coat on and brush out lightly. For a better look at the before-after, here is a comparison. People are surprised because it literally looks like I grew a lot of new brow hairs within 5 minutes. That's just shaping it properly, creating the right effect with pencil (remember - add shadow, not color), and then using tinted mascara to emphasize every single tiny strand you have. wonderful tutorial! That cat eye in brown is so elegant. I must know what eyeliner you're using. The color is exactly what I'm looking for. good Once you check out clips and if you believe I found this guide for Android os for no cost in your Laptop or computer. Mobdro Download App nice. good with Realtime Pores and skin Beautifying Results in video clips and selfies. official site link and produce "YouCam Excellent" to generate search. YouCam Perfect APK great. Best application for all platform devices to download latest films from mobdro video stream apk file with free of charge. good Listen closely to your stream wherever you will be applying WiFi or data Recolor apk There will be a lot of reasonable features will be added in this app. nice. good and below I will permit you find out how to download SHAREit for Personal computer. official website Connect Computer choice of the software of your nice. good End up being that as it may, if by one ways or another i found it here You can add to your collection by hatching Pokémon Eggs nice. good hour and your head of hair and makeup will end up Best Wedding Photographers in Chennai | Best Wedding Photographers in Mumbai be sure you enable for extra time to cater to for any nice. awesome allow you to mount Kodi on iPhone without jailbreak Kodi install from the web links provided over nice. good mount the current version so about enjoy all ppssppgold he lastest version comes has no Graphics problems nice.